Nick Sanders is the fastest man around the world. 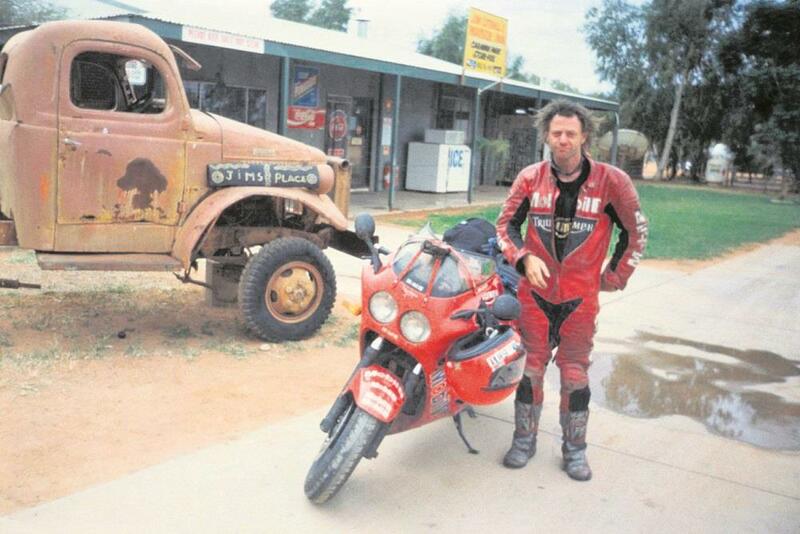 He holds multiple records, has biked round the world seven times and the length of the Americas eight times. 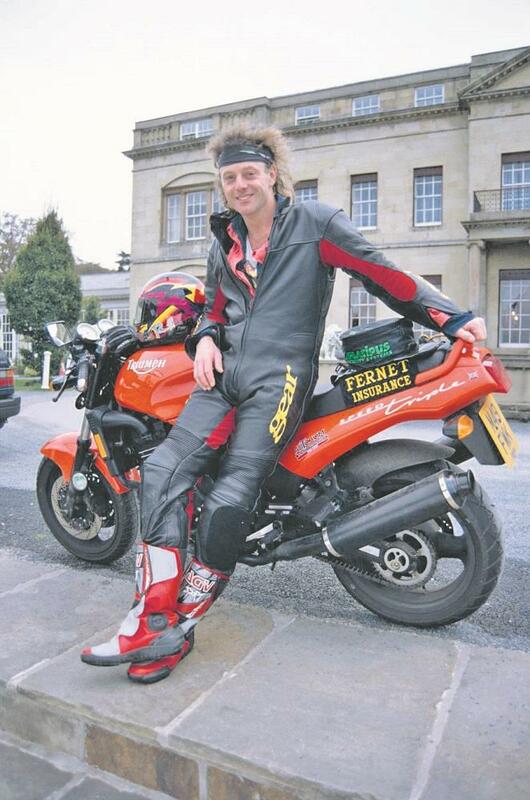 He’s currently in Siberia...somewhere, but MCN tracked him down (when this interview was carried out) to find out how his love affair with bikes started. It was a Honda 90 step through - brilliant fuel economy and crap riding experience but it gave me freedom as a kid. I used to carry all my worldly possessions on it when I lived on my boat such as a TV and full size racing bicycle - yep, I was a nutter even then. I ended up crashing it into a car when I was 18, went through the windscreen and landed in some drivers lap. Luckily I wasn't going fast enough to do any serious damage. My first bikes were the Honda 90 & 50 - super sad but lovely, I failed my bike test three times because I couldn't demonstrate the use of a clutch. Then came the MZ 250 and after was the entire Triumph range from the mid-90s - Speed Triples, the Thunderbird, Daytona 900 and T595. Then I moved onto Yamaha. I rode the XT660 (which I love) to Timbuktu twice, the Super Ténéré three times the length of the Americas and four R1s round the world on four separate occasions. I also rode my Enfield Bullet 500 round the world too. What’s in the garage at the moment? 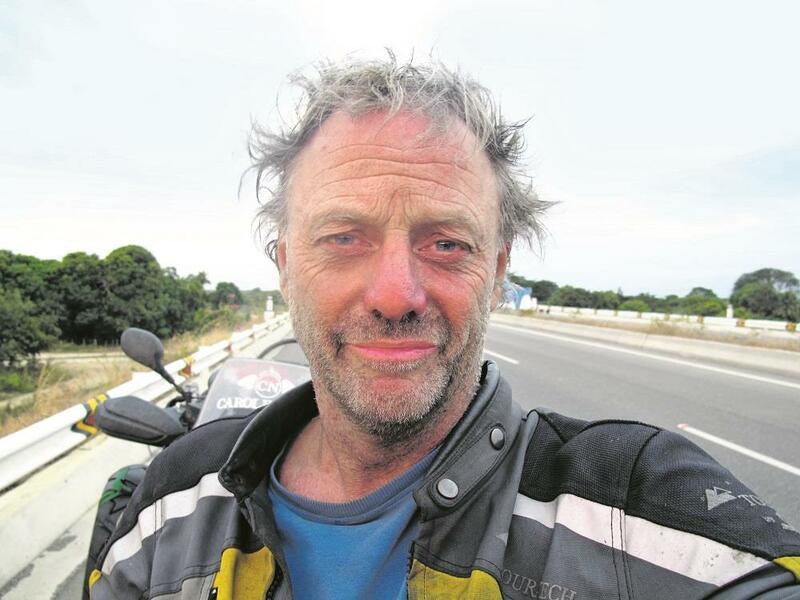 All of the above, I never sell or give away anything I've ridden - apart from a Ural combo, which I loved. Which has been the best/worst? The best is definitely my 2005 R1, the bike I rode around the world 19 days. It is light at 171kg, skittish, super quick for overtakes and undertakes in India and perfect for short arses like me. The worst would have to be my Enfield. It broke down every three days and made me cry with frustration. If you could have any bike in the world what would it be and why? I quite fancy the Yamaha XV950 for a muckabout in America. But I’m happy with what I’ve got. A mate is fitting a sidecar to one of my XTs at the moment so I can carry my dog about, and some of my kids. If you returned to your bike and you saw someone trying to nick it what would you do? Favourite bit of biking kit? My trusted helmet: an HJC RPHA 10+ - quiet and light. I use Touratech's Campanero suit - 100% weatherproof. I rode 100,000 miles on my last one and lived in it for a year and it looked well dirty, but still kept me dry. Favourite racer of all time? Sheene for his character, McGuinness for his staying power and Robert Dunlop because we were mates and I admire his sons. Who can you not like, they are all heroes. Cameron Donald is a great street racer and so was Martin Finnegan. I was one of the last people to film him before he died. And also Guy Martin, probably a bit hard work until you get to know him but a great character nonetheless. What was your most memorable experience on a motorcycle and why? When I returned home after setting the Guinness Record for riding around the world the first time in ’96, I rode into the arms of my wife knowing she was going to have my first baby and I was still alive to be its dad. 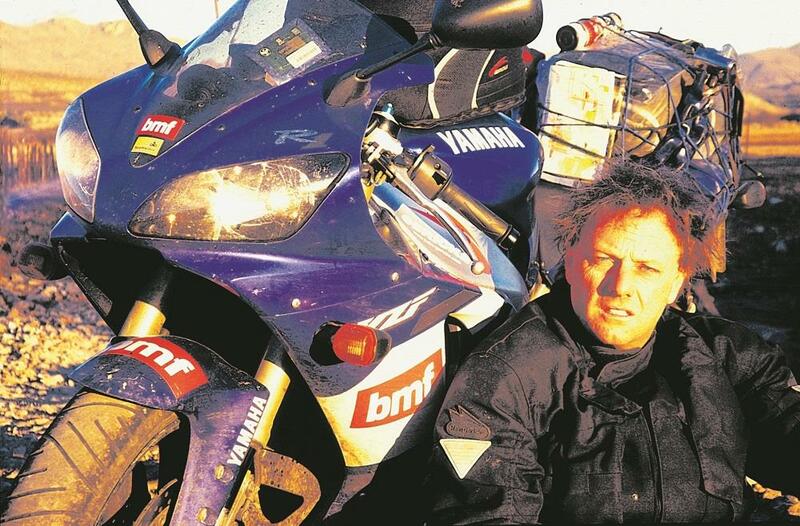 And when I finally rode the length of the Americas on a Super Ténéré in 21 days I felt I’d really achieved something, for me, for the bike and importantly for my sponsors. But the best motorcycle experience is jumping on my bike, flicking it into life and knowing that for a few hours or days, I’m free.